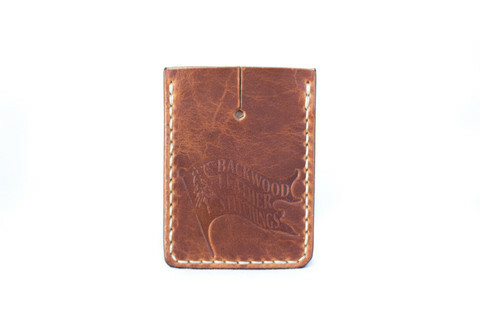 Leather Goods Built For The Harsh Backwoods of Alaska! Today, and at home in Anchorage, KC is hard at work creating his Backwoods collection of leather goods. These products that are one of a kind and certified hand crafted. I have made it my mission to use 100% American made or raised products." From thread to vintage tools, all of the equipment, product, and materials used in these products are made or raised right here in America. Not only is the integrity of sourcing seen through the final product but our team has verified that each step in KC's process is certified hand made from cutting to stitching this product is a proud new member of the Alaskan Hand Made family. Say Hello to KC Mack! Originally from from Spokane Washington, now a resident of Anchorage Alaska, KC mack brings his passion for America's favorite pass time to his craft of leatherwork. My leather goods are meant for the backwoods of Alaska.My leather goods are meant for the backwoods of Alaska. "My leather goods are built to withstand the harsh backwoods of Alaska"
Utilizing his passion for baseball, KC started collecting retired antique American made baseball gloves from the 1940s-1980s. So KC created the 100% American made, recycled, "vintage baseball glove collection." Starting with humble wallets, KC went to work making what is sure to be your next favorite daily pieces of functional art. All Goods are "Made To Order" meaning that your order is custom made for you each and every time.